We’d love your help. 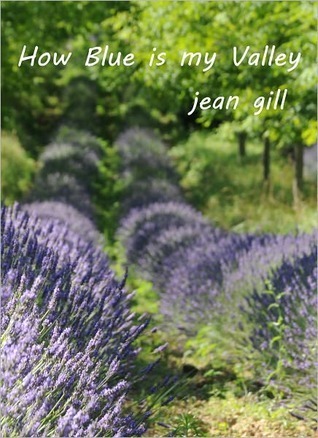 Let us know what’s wrong with this preview of How Blue is my Valley by Jean Gill. The true scents of Provence? Lavender, thyme and septic tank. There are hundreds of interesting things you can do in a bath but washing dishes is not one of them, nor what writer Jean Gill had in mind when she swopped her Welsh Valley for a French one. But how can you resist a village called Dieulefit, `God created it', the village 'where everyone belongs'. Discover the real Provence in good company. To ask other readers questions about How Blue is my Valley, please sign up. Take a look again at the cover of this book. Isn’t it a lovely, standout display? It drew me in and called to me to read this book. The title is similar to a popular Welsh book and film from 70 years ago, so I wondered if there would be a connection to Wales. Yes, there is. And the cover shows field of lavender, so I wondered if there would be a link to Provence, France. Yes, again. Author Jean Gill writes about her move from Wales to Dieulefit, France. The town name means “God made it”, and it i Take a look again at the cover of this book. Isn’t it a lovely, standout display? It drew me in and called to me to read this book. The title is similar to a popular Welsh book and film from 70 years ago, so I wondered if there would be a connection to Wales. Yes, there is. 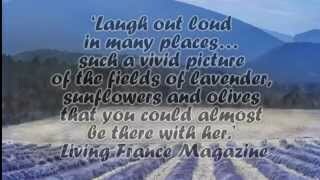 And the cover shows field of lavender, so I wondered if there would be a link to Provence, France. Yes, again. Author Jean Gill writes about her move from Wales to Dieulefit, France. The town name means “God made it”, and it is located in southeastern France about an hour from the Alps. Ms. Gill is a writer who can create a lovely phrase. This is how she describes a rainy day, “We listen to the orchestral performance on the house instruments, the clay tiled roof, the metal shutters, gutters and drainpipes.” She also writes with humor and insight. However, she does not always write in a way that is easy to follow. I would describe this book as a series of vignettes. A vignette is “a brief story or a small image that fades into the background without a definite border.” I would say that this is what happens in this book, one beautiful written image gives way to another without any border or structure to hold it together. But I wasn’t keen about the stories of their septic tank, or house renovations that were hard to follow. I also would have appreciated reading more about why the author and her husband moved, more about each of their personalities and more solid descriptions of the house and town. This would have centered me in the swirl of stories. There were many pleasant tales in this book. Overall, I gave it a blue bookworm, because I think that Americans will have some trouble keeping up with the British words and references, and style of writing. If you are British, then this well may be a gold bookworm story for you. After finishing Jean Gill’s “How Blue is my Valley” I felt as though I’d just had a panoramic and refreshing conversation with an entertaining companion. You can’t have a conversation with a book? Of course you can! – All you have to do is nod enthusiastically so as to encourage the author. With her wealth of experience, enquiring mind, broad knowledge and deep curiosity, Jean Gill never loses your attention as she ricochets between facets of an older life in Wales and a newer one in France. Bo After finishing Jean Gill’s “How Blue is my Valley” I felt as though I’d just had a panoramic and refreshing conversation with an entertaining companion. You can’t have a conversation with a book? Of course you can! – All you have to do is nod enthusiastically so as to encourage the author. With her wealth of experience, enquiring mind, broad knowledge and deep curiosity, Jean Gill never loses your attention as she ricochets between facets of an older life in Wales and a newer one in France. Both exploits demanded concentrated effort, a capacity the author has in abundance. Jean Gill’s engaging style offers a welcome hiatus from chronological narrative, explicit description and detailed inventories. She can segue within a sentence and pirouette on a phrase. She talks to her reader with the same engaging unpredictability as a kaleidoscope reveals new delights, never telling always revealing – not much but enough. Sometimes she just gives you just the vaguest hint so that when you capture the image you glow with satisfaction at your own acumen. Aside from the fact that this is about a work life in Wales and a retirement to France, it resonates well with moving from suburbs to a farm in rural Wisconsin. Or maybe Australia. Certainly the cultural differences and language learning and refining are quite specific and enjoyable to learn about in such a fun read, but learning to live rural does sound incredibly similar! Her sense of humor is contagious and delightful. If, like me, you have no French nor Welsh and find the need to pronounce d Aside from the fact that this is about a work life in Wales and a retirement to France, it resonates well with moving from suburbs to a farm in rural Wisconsin. Or maybe Australia. Certainly the cultural differences and language learning and refining are quite specific and enjoyable to learn about in such a fun read, but learning to live rural does sound incredibly similar! Her sense of humor is contagious and delightful. If, like me, you have no French nor Welsh and find the need to pronounce daunting, I highly recommend the audio performed by Jan Cramer who is fantastic! The title states, "the real Provence", yet why did everything discuss Wales? The part about Provence, the resistance, etc. was very interesting. Wales, not so much. Why doesn't the author talk about the real Wales in one book and the real Provence in another? I skimmed the last 40% of the book and only read the parts about Provence. Hard to follow during much of the narrative. Kind of written in a stream of consciousness. But, amid the convoluted passages are some lovely stories & descriptions of France. Unreadable. It reads like she collected a bunch of thoughts from scraps of paper and decided it was a book. Funny and witty, good book. My only problem with it was the writing. Long sentences, too many brackets, which made one sentence into a full paragraph. Started to read a sentence and by the time I finished it I had no idea what it started with. I really enjoyed this book while i read it, its very interesting and funny, it makes me laugh many times , very entertaining! This book tells about what like the experience ltransition from one country to another country, which must adapting the culture and the language that very different one..making an old house become a new I really enjoyed this book while i read it, its very interesting and funny, it makes me laugh many times , very entertaining! This book tells about what like the experience ltransition from one country to another country, which must adapting the culture and the language that very different one..making an old house become a new one. The author is very honest descript about the country, because its from her own experience and she told it with specific detail about it so i could imagine what is the country look like. The author use some france language too so i could learn france language little by little. I really love it! Brilliant!!! This was a lovely account of one person's experience of living in Wales and Provence where life can take on unexpected challenges and pleasures. Written in a very witty sort of stream of consciousness it is a memoir that I found totally absorbing and at times very funny. It's a book that gives the reader a real and vivid insight into the area and what it's like to upsticks and move to another country and culture. Highly recommended. It took me a bit to get into this one for some reason (two or three chapters), but once I got used to the author's style, I thoroughly enjoyed her honesty, charm and witty humor. A gentle and funny read. I really enjoyed it and have passed it on to my sister to read. I really couldn't finish this so called travel book that is more a stream of conscience than a narrative. The writer spent more time reminiscing about her life in Wales than her new one in France. Jean Gill is a Welsh writer and photographer living in the south of France with two scruffy dogs, a beehive named 'Endeavour', a Nikon D750 and a man. For many years, she taught English in Wales and was the first woman to be a secondary headteacher in Carmarthenshire. She is mother or stepmother to five children so life was hectic. Publications are varied, including prize-winning poetry and novels, Jean Gill is a Welsh writer and photographer living in the south of France with two scruffy dogs, a beehive named 'Endeavour', a Nikon D750 and a man. For many years, she taught English in Wales and was the first woman to be a secondary headteacher in Carmarthenshire. She is mother or stepmother to five children so life was hectic.